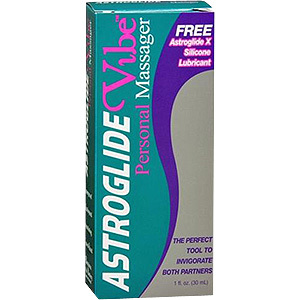 Astroglide Vibe Personal massager was created to help invigorate and arouse both partners in new and exciting ways and is especially helpful to couples experiencing ED. Astroglide is a sleek waterproof multi-speed massager that is small enough to be taken anywhere you want to have fun. 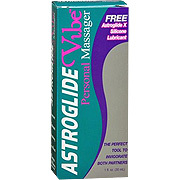 Astroglide Vibe Personal Massager - 1pc is shipped in a discrete, unmarked package. Orders are processed immediately and usually takes about 3 to 5 working days to be received. We do ask that you try it for 2 to 3 weeks to feel the full effects. Any information received is used only for order processing and shipping purposes. Your information, such as e-mail address, will never be disclosed to a third party.